This durable and absorbent coarse-textured sponge can be used with commercial detergent soaps and cleaning agents to help alleviate messes and spills. Made of wet regenerated cellulose to provide you with a tough sponge. In an uncompressed form, the sponge has coarse pores. Soft and pliable when wet, making it easier to clean those tough-to-reach areas. 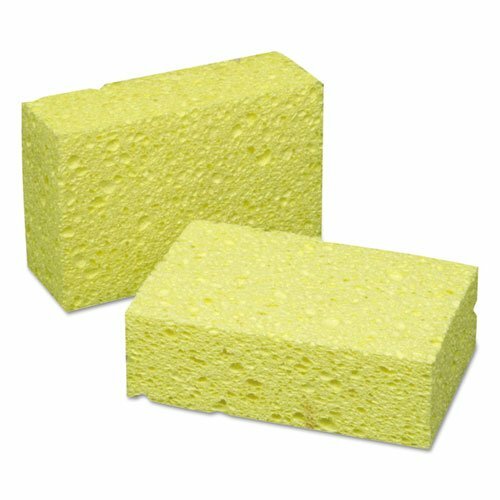 Sponge Type: Cleaning; Material(s): Cellulose; Shape: Rectangular; Width: 3 5/8". If you have any questions about this product by AbilityOne®, contact us by completing and submitting the form below. If you are looking for a specif part number, please include it with your message.